The ReadytoWork initiative prepares young people for the world of work. 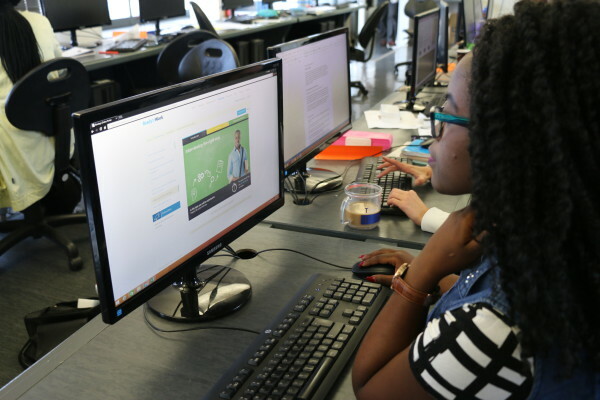 Barclays are taking their ReadytoWork initiative to universities and schools around the country, several months after its launch as an online programme. The initiative targets young people between the ages of 16 and 35, and helps them go from the education sphere to the world of work. “After completing formal education, whether it be matric, or tertiary, people have to look for jobs, and often their qualifications and CV are not enough,” said Masechaba Tekana, general manager of citizenship at the Barclays Africa Group. “There is a gap there, in terms of their transition,” said Tekana. ReadytoWork is a course that can be completed online or face-to-face, and gives participants skills with people, money and entrepreneurship. “They can choose one of two pathways. The first pathway is for those interested in jobs in the corporate world, and the second is for those interested in starting their own businesses,” Tekana said. Barclays plans to involve partners that can facilitate the programme in community centres, schools and universities specifically those in rural areas, with challenges getting online access. “It goes beyond providing young people with the skill sets. Once they’ve gone through the programme, they are assigned a mentor in their career field,” said Tekana. These mentors are Barclays employees that have volunteered to help. Those who have completed the course are given an opportunity to shadow a Barclays employee or an employee of one of Barclay’s corporate partners. The Good Work Foundation is an organisation based in Mpumalanga, that has been using ReadytoWork.